When Apple debuted the AirPods that we've been jamming in our ears for a while now, it set off a stampede of competitors rushing to launch their own truly wireless earbuds. We've seen a diverse lineup of features, sizes, case designs, all competing for market share. At AppleInsider we've tested out many them, always pitting them against Apple's flagship 'buds. There has largely been a consensus on AirPods, that the audio quality is great, for the price. They are smaller and more affordable than premium ones such as our highly praised MW07's from Master and Dynamic. Apple's aggressive pricing made it easy to get AirPods into the ears of millions of people. But with that aggressive pricing comes compromises. The biggest of which is audio quality. The audio quality is perfectly adequate but will never be confused for a high-end pair of headphones. As I go between Studio Beats and my MW07 earbuds, whenever I switch to my AirPods, that audio quality is noticeably lacking. Recently, I hit the skies to travel to Minneapolis for the annual Jamf Nation User Conference to talk about Apple in the enterprise. I had plenty of time to listen to music, take calls, and catch up on Podcasts in between interviews and presentations. Risking a TSA full-body search, I had both AirPods and the MW07 weighing down my pocket. How and when I chose one device over the other was telling. In most scenarios, I reached first for AirPods. When I went to take a call, I love using AirPods. They are easy to connect, the microphone is reliable, and I can easily just keep one of the earbuds in rather than both to be aware of my surroundings. Even on the flight or when I went to listen to music I first reached for my AirPods. But, it only took a couple of minutes though before I ditched my AirPods for the MW07 each time for audio quality. Obviously carrying around two pairs of headphones is not acceptable and more than unlikely for the average consumer to do. That has really made it clear to me that Apple needs to release a premium version of AirPods. To nobody's surprise, Apple has always been in the premium market, or edging up to the high-end. Their phones, tablets, computers all fall into the upper end of the market. When it comes to their Beats headphones, they have a premium high-end version —Studio Beats 3. Even looking solely at their wired Apple-branded earbuds they've offered a more high-end version. Compared directly to the wired earbuds included with each iPhone, AirPods are certainly a more premium option than the alternative, but there is more Apple can do with Studio/Pro AirPods. 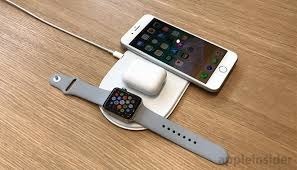 The long-awaited wireless charging case can be included, as can better water resistance, and upgraded audio fidelity. A new black color scheme could potentially be adopted to denote the "pro" connotation as we saw with the iMac Pro. The market for high-end headphones is certainly there as we see with the many premium truly wireless earbuds from other companies that are thriving. Apple itself is represented in this pro-headphones arena with Beats and the aforementioned Studio over-the-head headphones. AirPods need to get that elevated counterpart as well. AirPods have been rumored for a somewhat minor update for some time, including features such as wireless charging and "Hey, Siri" support. Even improved water resistance has been cited. 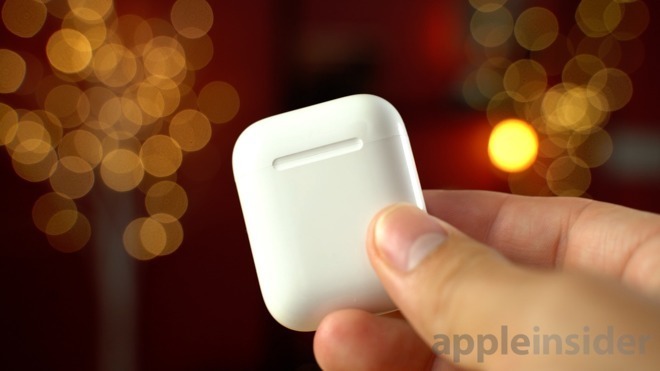 Rumors for an updated model of the existing AirPods have been fairly frequent, though a premium model has reportedly been in the works as well, though details have been somewhat scarce. All of those rumors have pointed to a possible late-2018 release for the new $159 AirPods and 2019 for the potential high-end set. That timeline seems potentially plausible, though if that is the case, I do hope Apple previews them ahead of time. I and I'm sure many others would likely consider upgrading their existing "first-generation" AirPods if a new V2 model is introduced possibly —but not likely —tomorrow. It would be extremely disappointing to upgrade, only have a pro model in the wings for a few months later. In the end, all we can do is wait. AirPods are the measuring stick with which all other wireless earbuds are measured. They are simple to set up, work almost like magic, and have that satisfying snap when the case is closed. They've held up well over the past two years, but it is time for Apple to do more. I think they will —but perhaps not this week, unfortunately. 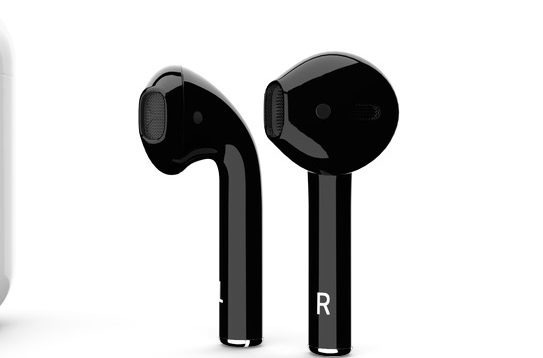 Apple authorized reseller Adorama is offering readers an exclusive $11.50 discount on AirPods with coupon code APINSIDER on top of a $10 instant rebate. Priced at $137.50 after the savings, Adorama will not collect sales tax on orders shipped outside New York and New Jersey. Plus, shipping is free within the contiguous U.S.